Before passage of the Affordable Care Act (branded ‘Obamacare’), low-income people with HIV were trapped in a heinous Catch-22. 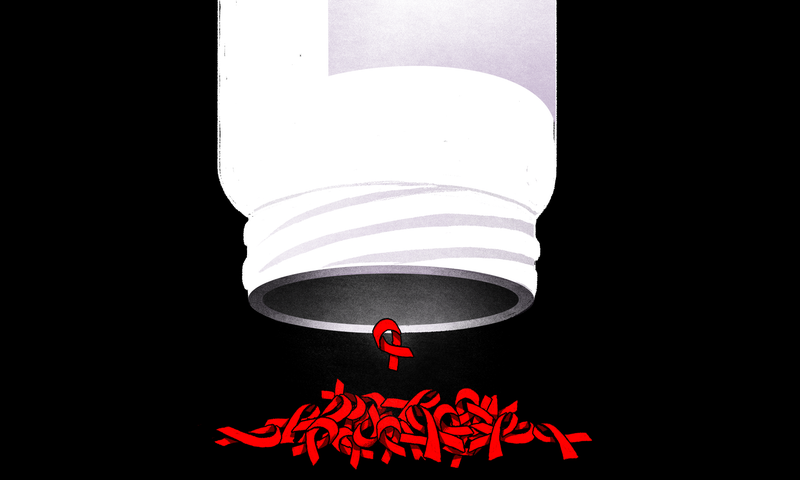 Insurance companies denied them coverage because of their status, the drugs were too expensive to buy outright, and they might only qualify for Medicaid’s partial coverage if their HIV had progressed and they became too sick to work. Their only recourse: wait and get sicker until treatment arrived. Under the ACA, insurance companies were no longer able to deny anyone coverage because of preexisting conditions, and early treatment for HIV—a matter of life and death—became a real possibility. In January, Republicans took drastic steps to dismantle the Affordable Care Act system. Now, Obamacare’s repeal is imminent and many HIV-affected people accessing care via the insurance system will be left scrambling for new ways to obtain preventative medications or treatment. “If they haven’t signed off on my death, they’ve at least said ‘we don’t care,’” says Chris Kennedy, a front-end web developer in San Francisco diagnosed with HIV three years ago. As a contract worker, Kennedy relies on the ACA for healthcare access. He holds Republicans accountable for making efforts to repeal it without offering assurances for the HIV-affected community. Kennedy says that the full price of medication for him and his partner, also positive, is $7,198.16 per month, totaling a staggering $86,377.92 per year. That’s insurmountable without help. Kennedy is a contractor in the tech industry, where many contract positions involve full-time hours without full-time benefits like health insurance. For him and his partner, the ACA system is critical. On Monday, Republicans proposed a replacement, the Patient Freedom Act of 2017. If it passes, states will vote to either keep Obamacare coverage or repeal and move to a new system, with or without federal involvement. The Patient Freedom Act outlaws discrimination based on preexisting conditions, as the ACA did, (though a Wednesday proposal from Republican Senator Rand Paul would re-allow preexisting condition discrimination). But it’s unclear how such enormous shifts in the insurance marketplace will affect the affordability of treatment. Prescription drug prices increased during the ACA and the plan was routinely criticized for not doing enough to rein in rising costs. Co-authors of the proposed new plan senators Susan Collins and Bill Cassidy, have yet to actually present the act on the floor and Cassidy admits it’s still “a work in progress.” Many questions still remain, even as ACA is rapidly dismantled. Moving to a new system also means the state would choose if it wants to spend money on HIV prevention and awareness campaigns, but states would not be required to. Under the ACA, Prevention and Public Health Fund specifically allocates money for various awareness campaigns. Under the Patient Freedom Act, states would be free to use that money elsewhere. “My state has a high rate of HIV,” said Louisiana Senator Bill Cassidy, while presenting the Patient Freedom Act. “If our state took that money and put in effective programs to decrease the transmission of HIV, that would have an incredible impact upon population health and upon population expense. We would leave that up to the state because every state has their own issues.” This statement is tragically ironic, considering Cassidy’s voting history and political record point. It’s also hard to be optimistic that states with a history of homophobia, abstinence-only education initiatives, or HIV stigmatization will invest in progressive initiatives. States officials in Kentucky, Tennessee, and Texas, for example—who all voted for Trump (and in turn, for his support of ACA overhaul) filed numerous lawsuits protesting marriage equality. Indiana suffered a major HIV outbreak in 2016, under now Vice President Mike Pence, after Planned Parenthood rollbacks. Kennedy says that if testing services aren’t prioritized, it will only exacerbate the spread of HIV. “If we aren’t being treated, if we don’t have access to doctors, we’re going to have another epidemic on our hands,” he said. With early access to antiretroviral therapy, research suggests life expectancy for people who are HIV-positive is approaching parity with people that are HIV negative. Apart from the imminent healthcare shift, barriers like geographical location, cultural stigma and lack of information are preventing people receiving the testing and treatment they need. All over the country, nonprofits and community centers exist to do HIV awareness and counseling work where federally funded campaigns fail. Now, however, the burden may fall on them for prevention efforts. The nonprofit leaders I spoke with, Adrian Shanker of Pennsylvania’s Bradbury-Sullivan LGBT Community Center and Jeff Graham of Atlanta’s Georgia for Equality both emphasized that the LGBT community has a number of compounding medical challenges, including but not exclusive to HIV and HIV stigma. Graham pointed out that the ACA had coverage gaps for many middle class LGBT people, while Shanker noted that the ACA still has limitations based on residency, impacting Latino communities. Since 2013, nonprofits had surprising collaborators in HIV education: “hook-up apps” like Grindr and Scruff. Health and civil rights organizations, like the NY Department of Health, National Black Justice Coalition, or Navajo Department of Health, are partnering with the apps on free ads. The campaigns use geo-targeted pop-up messages and banner ads to refer users to nearby non-profits offering counseling and testing services, or information on treatment and PrEP, a medical regimen that helps prevent HIV transmissions. “What we’ve got is the largest network of gay and bi men and some trans people anywhere in the world,” Jack Harrison-Quintana, director of Grindr For Equality, tells me. On Grindr, Scruff, Jack’d, etc. users receive messages telling them about the nearest free testing center and area non profits with counseling and education services. A Black user will see ads that relate to their racial disparities in HIV transmission, while a Latinx user is more likely to see an ad written in Spanish. But first and foremost you need a smartphone to receive the messages. And with ACA’s repeal forthcoming, even this informal system is in a precarious position: apps can refer people to testing, but what happens when a person tests positive and can’t afford the potentially astronomical cost of HIV treatment? But for those in underserved states, the nonprofit system and app referral systems offer testing and education services free of the pervasive stigmas around queerness and HIV that may soon become tangible barriers to health access. Relying on an open dialogue is what encouraged Chris to get tested and now he’s paying it forward. Chris says that, with his income, he could feasibly afford out of pocket costs, but that still leaves him in a potentially unstable position. The current political and medical climate is full of uncertainties, and even nonprofits struggle to define meaningful outreach given a tenuous healthcare infrastructure. They can offer community and counsel, but what happens after—after diagnosis, after ACA’s restructuring—remains unclear. “Now we’re being told ‘we’ll see what happens.’ There is no worse feeling right now,” he said.